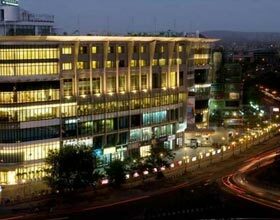 Address: Jawahar Lal Nehru Marg, Near Jawahar circle,Opp. 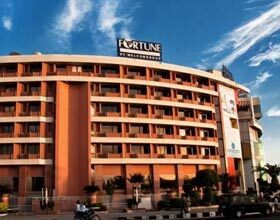 Fortis Hospital, Jaipur, Rajasthan 302017 India. 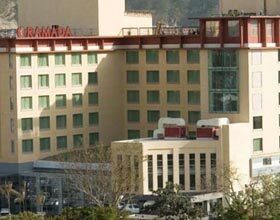 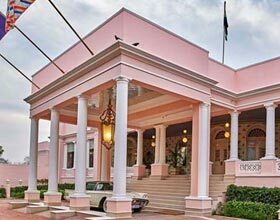 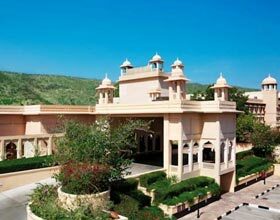 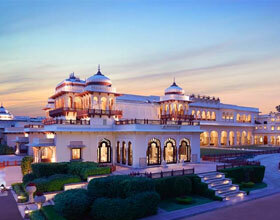 Hotel Clarks Amer Jaipur is the exemplary specimen among luxury hotels located near Jaipur international airport. 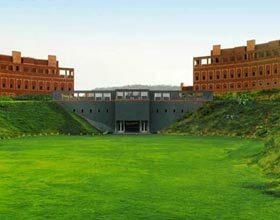 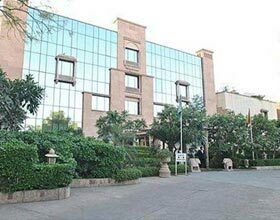 Clarks Amer, famed for being the first 5-star hotel property in capital city of Rajasthan, is well nestled in lush green residential area of Jaipur. 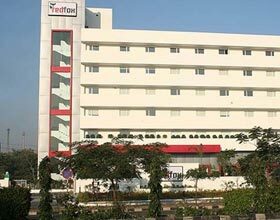 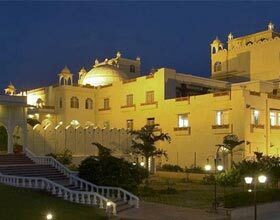 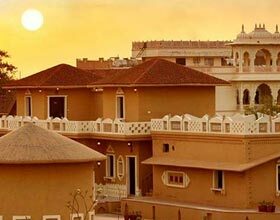 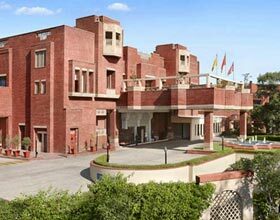 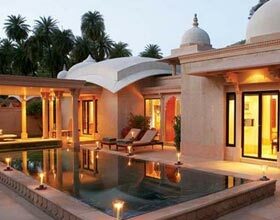 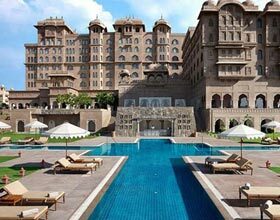 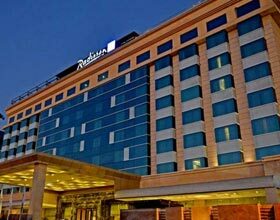 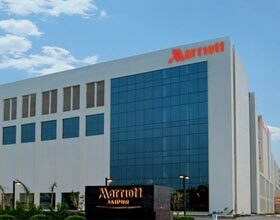 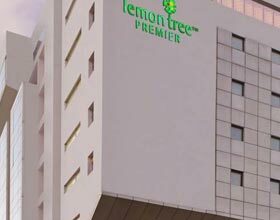 This Jaipur hotel was the first in India to be certified with ISO for its flawless services and pristine infrastructure. 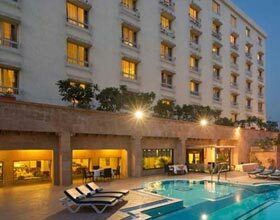 Refreshing recreational activities, swimming pool and well equipped fitness center are perks appreciated by guests during their mesmerizing stay at this grandiose hotel. 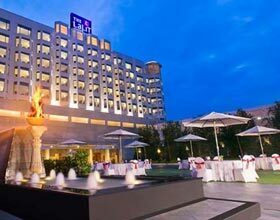 Contemporary convention center and well-trained staff makes Hotel Clarks Amer Jaipur an ideal alternative to host corporate meets and seminars. 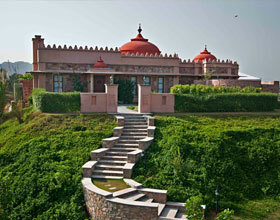 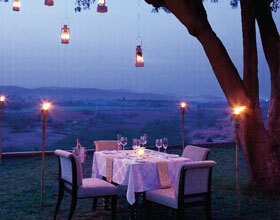 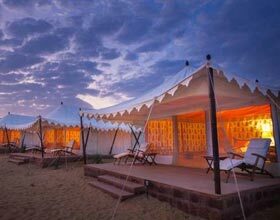 Lavish lawns are often the venue for majestic weddings and social gatherings in the Pink City. 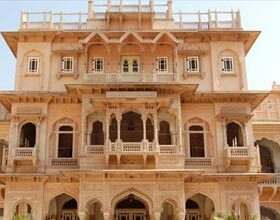 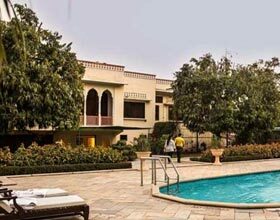 All 211 guest rooms at this 5 star hotel in Jaipur inclusive of 14 penthouses boast of its chic style décor and unblemished round the clock housekeeping services. 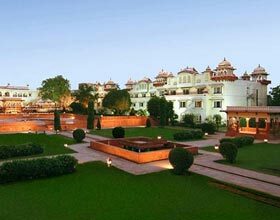 Guests relish the warm hospitality and in-room modern facilities like STD/ISD facility, complimentary newspapers, electronic safe etc during their abode in Clarks Amer Jaipur. 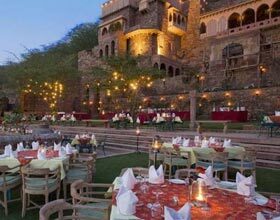 Patrons relish the rich culture of Rajasthan in savory delicacies served at diners of Clarks Amer. 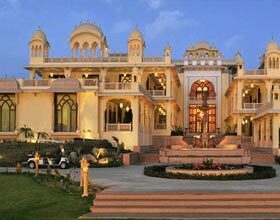 Exquisite decors with bent of Rajput-style architecture creates an ideal experience to dine in at Durbar, the dining hall. 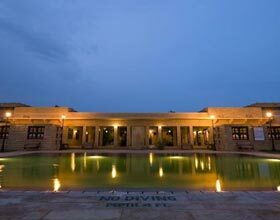 Terrace restaurant Dholamaru, is a delight for guests enjoying scrumptious dishes amidst splendid panoramic views from the roof top. 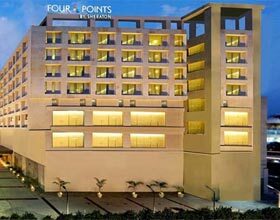 Sip the finest espressos at on-site coffee lounge, Asthan. 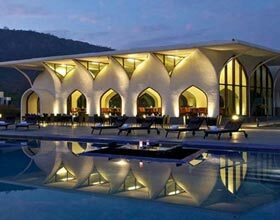 Pay a visit to Tablu, cafe bar on roof top adjoining the art gallery. 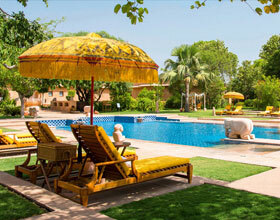 Appreciate the traditional folk dance when you savor the delicacies at barbeque overlookingss the swimming pool.